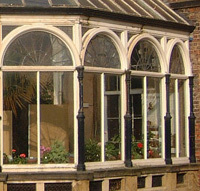 Control the temperature better in your conservatory by having our professionals install conservatory window film. Having window films installed would reduce solar heat by up to 80% and the same films with a low emissitivity layer can significantly reduce heat loss in winter. This will enable you to increase the energy efficiency of your conservatory and lower gas and electricity bills.